Discover Dubai on board a 360 degree top off tour van which highlights the contrasts between the old and the new in this growing and exciting city. Please book in advance. Call our Customer Service Hotline at 800 2080. 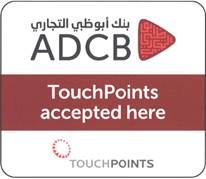 Pick up points: Dubai Mall Tourist bus, parking 2 at 9am, 2pm, 6pm.Barsha Heights : Golden Tulip at 8:30am, 1:45pm. JBR: Hilton Hotel, Amwaj Rotana, Rixos Hotel at 9:10am, 2:15pm. Open for for all ages. 0 to 2 yrs free of charge. 3 to 8 yrs old child rate applies. Dubai is a world class city, full of spectacular sights and wondrous vision. If you are seeking to fully immerse yourself in the culture and experiences our sensational city has to offer, take the weight off your feet and book yourself a Dubai city van tour. City Van tours have insider knowledge of all the best places to visit in Dubai, and enable you to explore Dubai at a relaxed pace. Our van tour takes in many a hidden gem you might otherwise miss, while not forgetting the most famous neighborhoods and iconic buildings, including the Burj Khalifa, Burj Al Arab and The Palm Jumeirah.